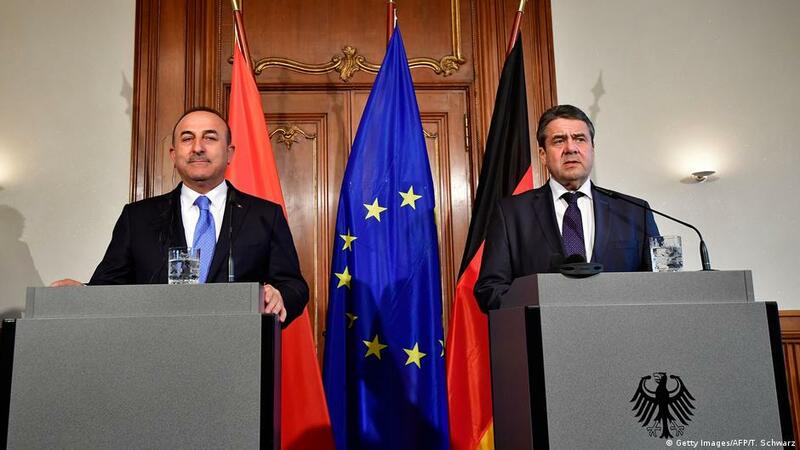 The presence of former Democratic Union Party (PYD) joint leader Salih Muslim in Germany will be on the agenda when Turkish Foreign Minister Mevlüt Çavuşoğlu meets his German counterpart on Tuesday evening, German state broadcaster Deutsche Welle said. The PYD, a Syrian Kurdish group whose armed wing, the People’s Protection Units (YPG), is currently fighting a cross-border Turkish military operation in the Syrian area of Afrin, belongs to the same umbrella organisation as the Kurdistan Workers’ Party (PKK), a Kurdish group inside Turkey that the European Union recognises as a terrorist organisation. Turkey requested the arrest and extradition of Muslim from Germany after he attended a protest meeting there at the weekend. He was arrested in the Czech Republic last week after a similar request from Ankara, but later released. The repair of German-Turkish relations following the release of German-Turkish journalist Deniz Yücel from Turkish custody after a year in detention will also be on the agenda, the broadcaster said. Türkiye Dışişleri Bakanı Mevlüt Çavuşoğlu Berlin'de Alman mevkidaşı Sigmar Gabriel ile bir araya geldi. İki bakan ikili ilişkiler ve uluslararası konuların yanı sıra Salih Müslim'in iadesini de görüştü.